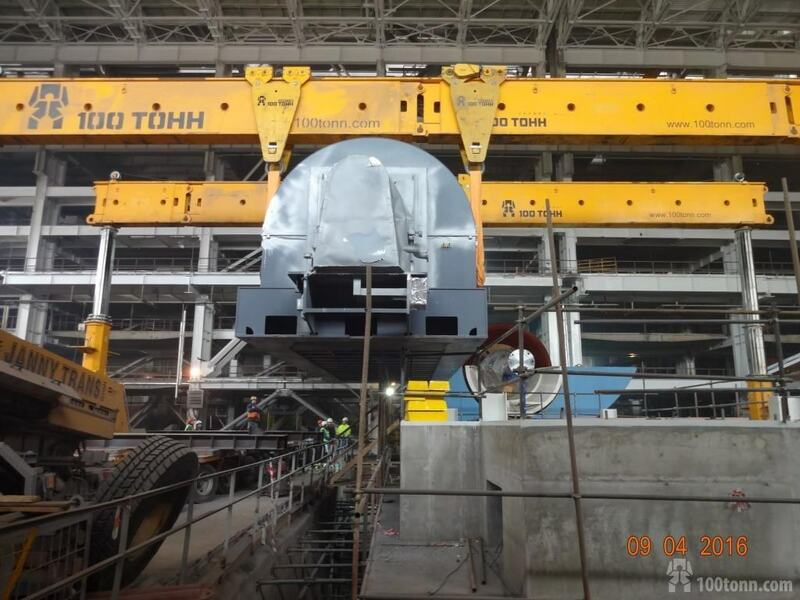 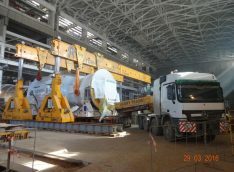 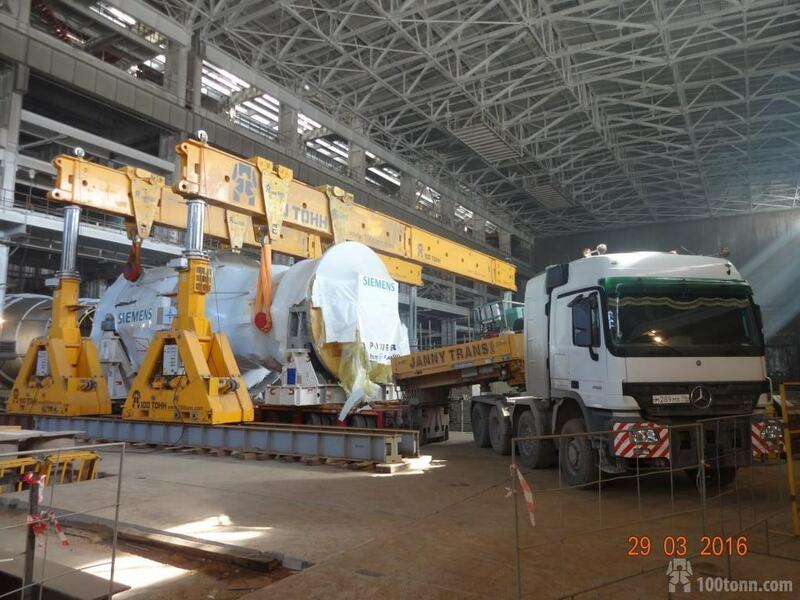 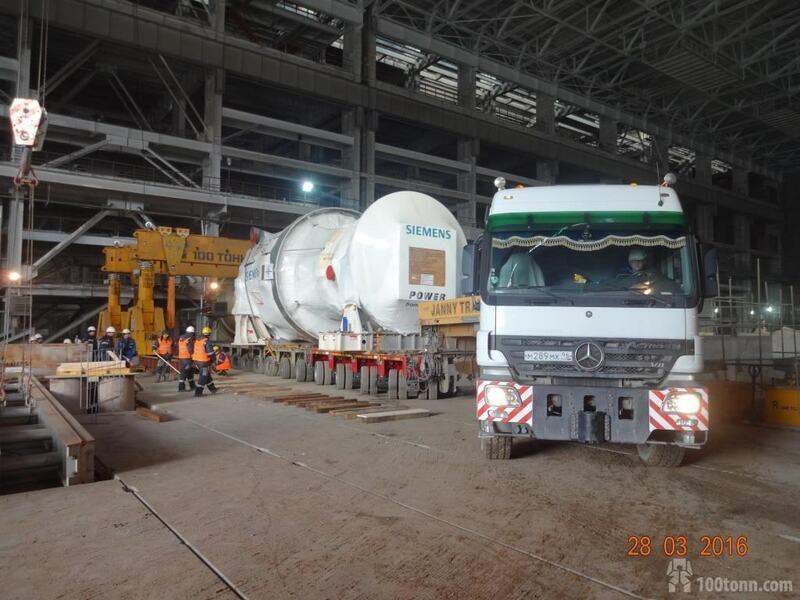 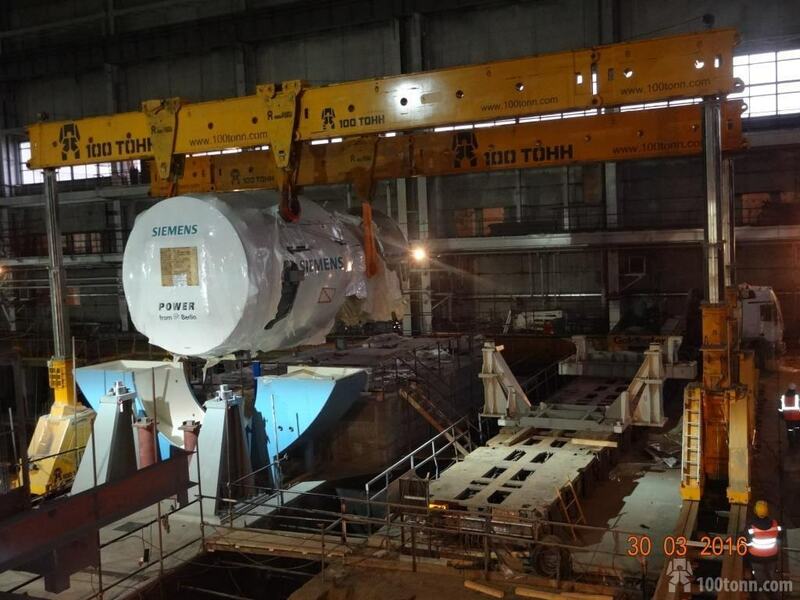 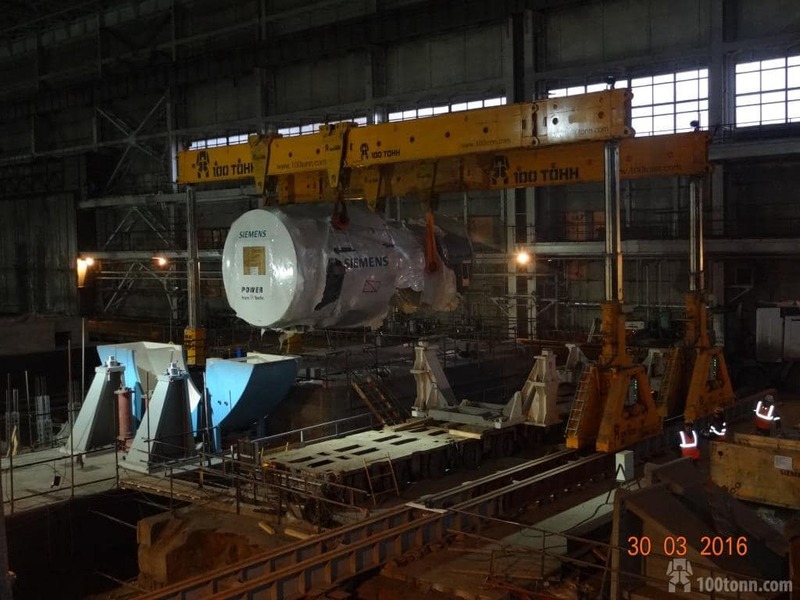 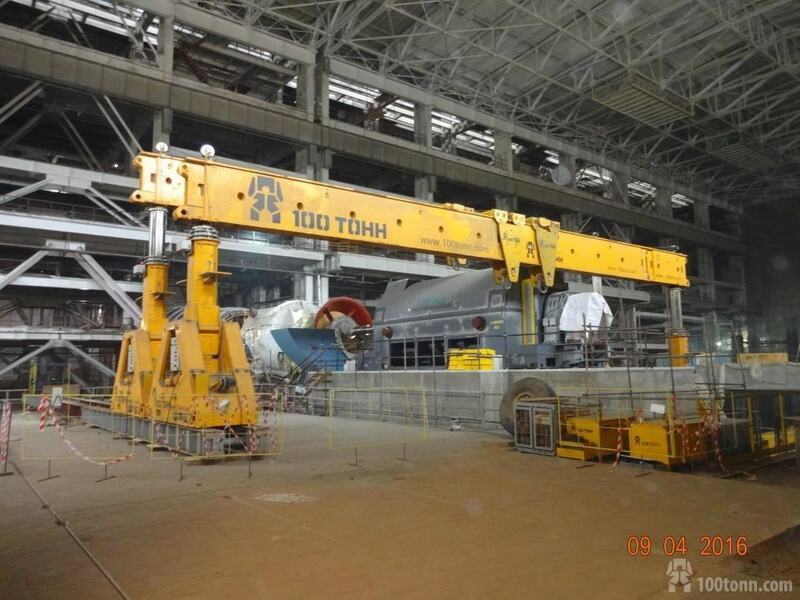 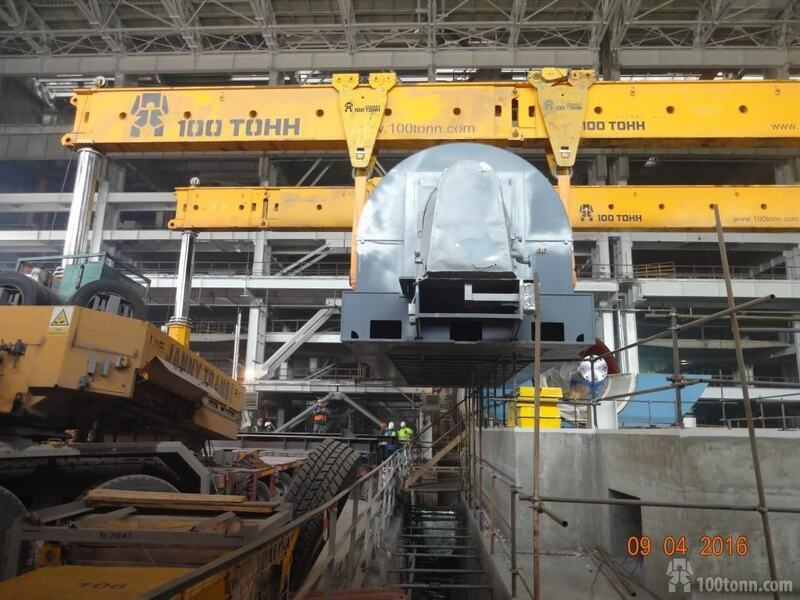 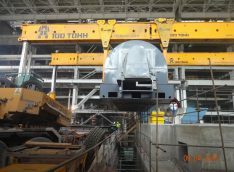 Within the period from March, 18 to April 30, 2016 within the framework of Power Unit ПГУ-800 МW Contruction Project, our Company (100 TONN MONTAZH) shifted two sets of SIEMENS gas turbine power units within the premises of Perm Sate Power Station and set them on a foundation on request from Firma INTREK and PGU CZEM (St.Peterburg General Contractor Managment, North Assembling Directorate of Sevzapenergomontazh). 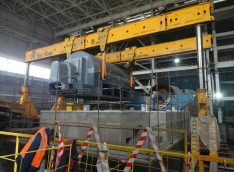 Each gas turbine power unit consists of two parts, i.e. 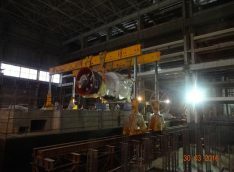 turbine and generator. 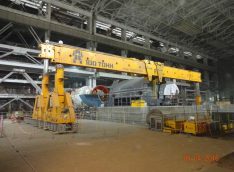 Total mass of the assembled equipment is 1,248 tons. The GP1000 hydraulic gantry system was used for operations. In the harshest conditions of the construction site of Perm State Power Station, our specialists (100 TONN MONTAZH) showed their high qualification and skills that allowed them to carry out all the works in strict compliance with the work schedule approved by general contractor INTER RAO-Engineering.